Injured by Your Bike? You Might Have a Defective Product Claim. One minor break, slip, or snap of any part of a bike can stop a rider dead in his tracks. But what happens if a part breaks while a cyclist is speeding down a hill, negotiating an intersection, or attempting a dangerous maneuver? The results can be disastrous. And some of these problems are not the result of normal wear and tear – they are the result of a defective product. In the legal world, this is known as product liability. Whenever a manufacturer has distributed goods that are unsafe for human use or consumption, the company will often issue a recall. Unfortunately, because the products are already in use, many people still get hurt. Every year, thousands of people across the country are injured by products that have been recalled. If your or a loved one has recently suffered injuries due to a recalled bicycle part, you may have grounds to take legal action. But to obtain compensation, you’ll need a resourceful personal injury firm with a history of success that can take on major product manufacturers. If you have suffered injuries due to recalled bike parts, contact a Phoenix injury attorney at Breyer Law Offices, P.C., to get the help you deserve. Who Is Responsible for My Faulty Bike? When it comes to faulty equipment and product liability in bicycles, there are several parties that could be held liable. First, the bike company itself. Regardless that it issued a recall, it can still be held accountable. Second, the manufacturer of the bike part – which may be separate from the bicycle company. Any negligence on its part could have been a contributing factor and makes it liable. Finally, the distributor, which can include suppliers of after-market bike parts. 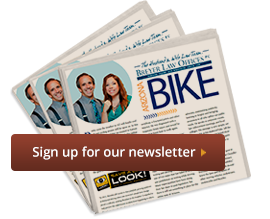 When Should I Contact a Phoenix Bike Part Recall Attorney? As soon as possible. Building a strong claim involving a recalled bike part can take time. The sooner we begin reviewing the facts of your case and researching potential causes, the better your odds of a successful claim. In addition, Arizona maintains a statute of limitations on all personal injury cases. Failure to meet the deadline can mean a forfeiture of any potential compensation. Call a Phoenix bicycle accident lawyer at Breyer Law Offices, P.C., today and get started on your road to recovery. Dial (602) 267-1280 or use the form found on this page to schedule a free consultation at your earliest convenience. Phoenix Bike Part Recall Lawyer Disclaimer: The legal information presented at this site should not be construed to be formal legal advice, nor the formation of a lawyer or attorney client relationship. Any results set forth herein are based upon the facts of that particular case and do not represent a promise or guarantee. Please contact a lawyer for a consultation on your particular legal matter. This web site is not intended to solicit clients for matters outside of the state of AZ.